and of the discovery of the lakes Shirwa and Nyassa 1858-1864.
a Story of Nine Month's Experiences in the Last of the Soudan Provinces. With Notes on the Military Situation. 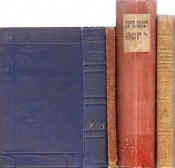 in the years 1803, 1804, 1805 and 1806; a reprint of the translation from the original German by Anne Plumptre. 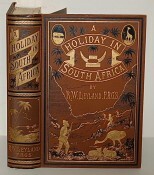 Francois Le Vaillant's two accounts of his travels in southern Africa- in five volumes. 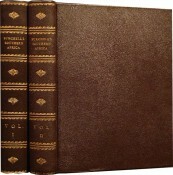 Journal of a Visit to South Africa in 1815, and 1816. 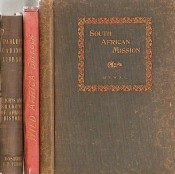 With some account of the missionary settlements of the United Brethren, near the Cape of Good Hope. PARLIAMENT, Great Britain. - WHALING, the Northern Seas. With a Preliminary View of the Civilization of the Incas. Being incidents of history and travel, from the best and the most recent authorities, including J. L. Burckhardt and Lord Lindsay. An account of a visit to Lower Egypt. Africa in the Nineteenth Century. Being a Journal of an Expedition Undertaken Under the Auspices of H.B.M. 's Government in the years 1849 - 1855. SUB-TROPICAL RAMBLES IN THE LAND OF THE APHANAPTERYX. The first expedition from Somaliland to Lake Lamu. Illustrated. 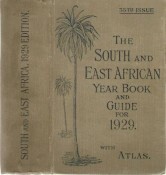 Paul L. Hoefler F. R. G. S.
The Chronicle of the first Trans-African journey by motor truck from Mombasa on the Indian Ocean to Lagos on the Atlantic, through Central Equatorial Africa. undertaken more particularly with a view of ascertaining the cultivation, wealth, resources, and national prosperity of the Kingdom of France. 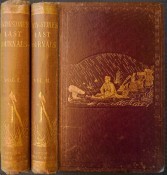 THE LAST JOURNALS OF DAVID LIVINGSTONE, IN CENTRAL AFRICA, FROM 1865 TO HIS DEATH. Continued by a Narrative of His Last Moments and Sufferings, Obtained from His Faithful Servants, Chuma and Susi.